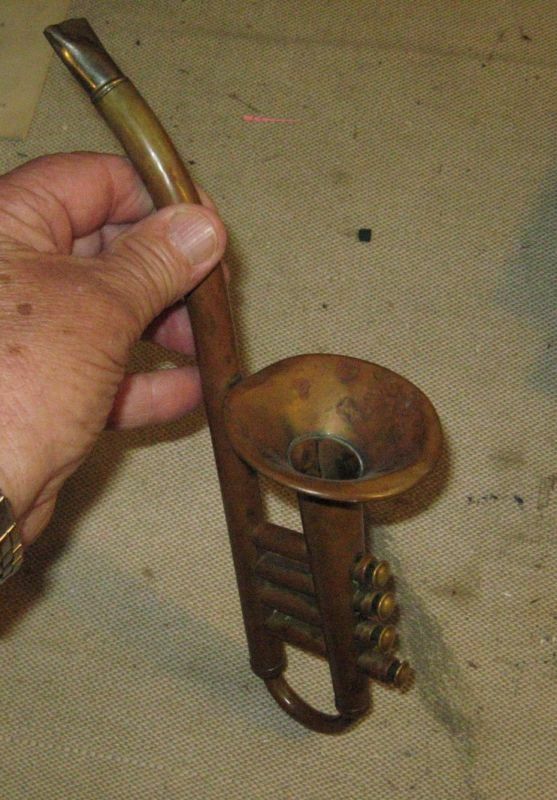 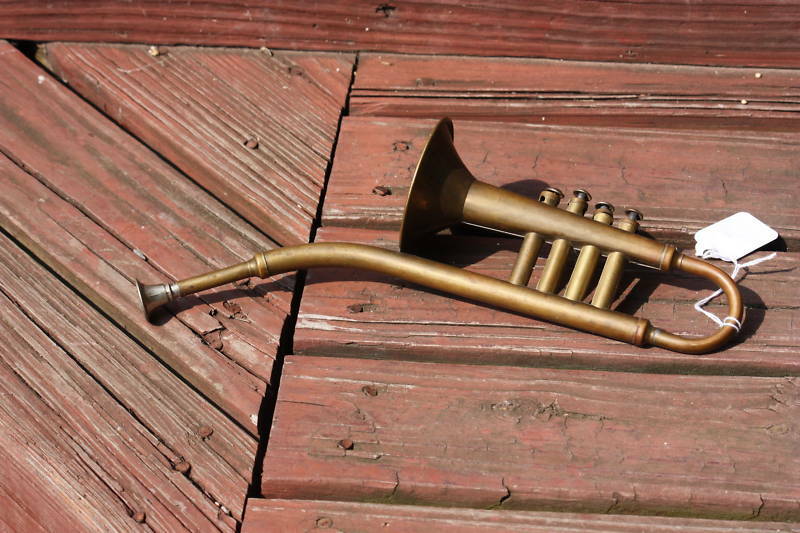 This interesting, saxophone-shaped, toy trumpet bears a strong resemblance to the other 4 valve saxophone, as well as the Delinot toy sax, that also showed up on eBay. 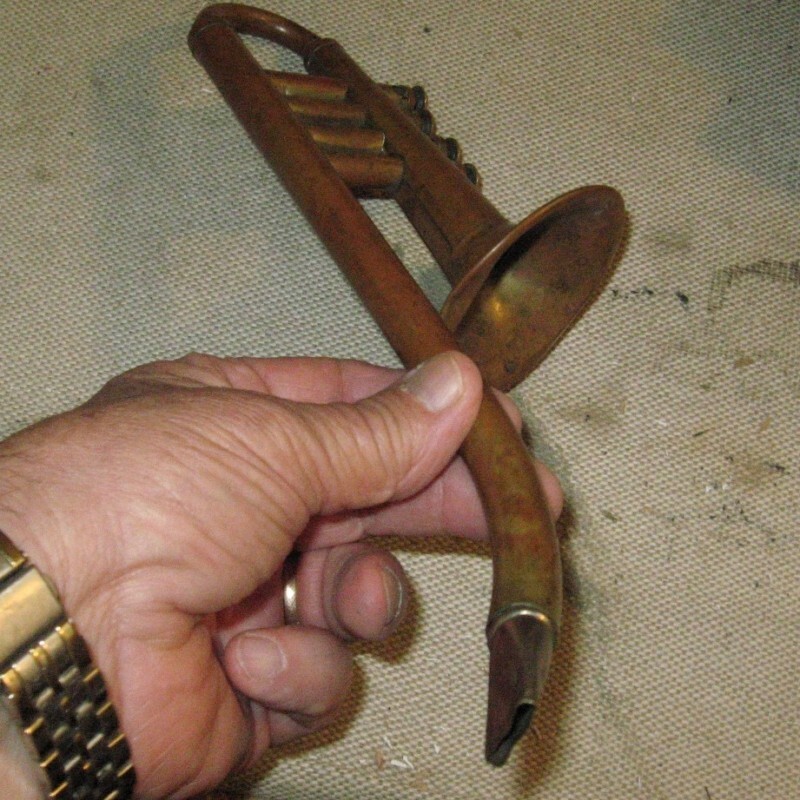 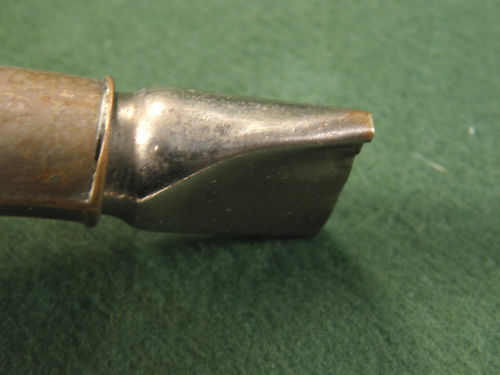 Unlike these other 2 instruments that have brass instrument-type mouthpieces to blow through, this little French 4 valve toy sax has a metal, beak-like mouthpiece like those seen on the Hohner Saxonettes. 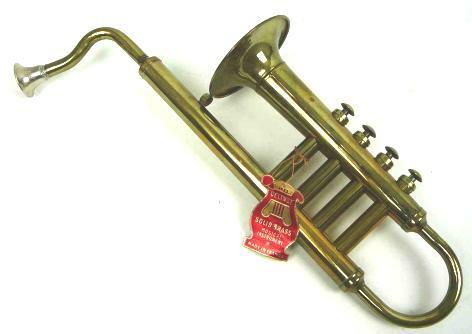 Unfortunately there is no manufacturer’s name stamped anywhere on the toy instrument. 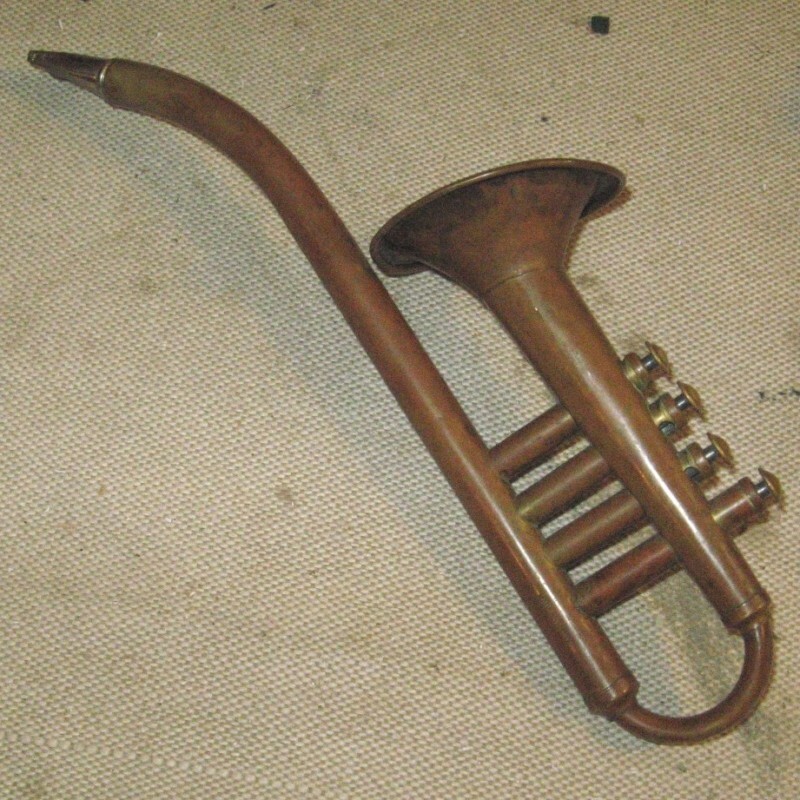 However, the seller does state that it is marked “Made in France”. 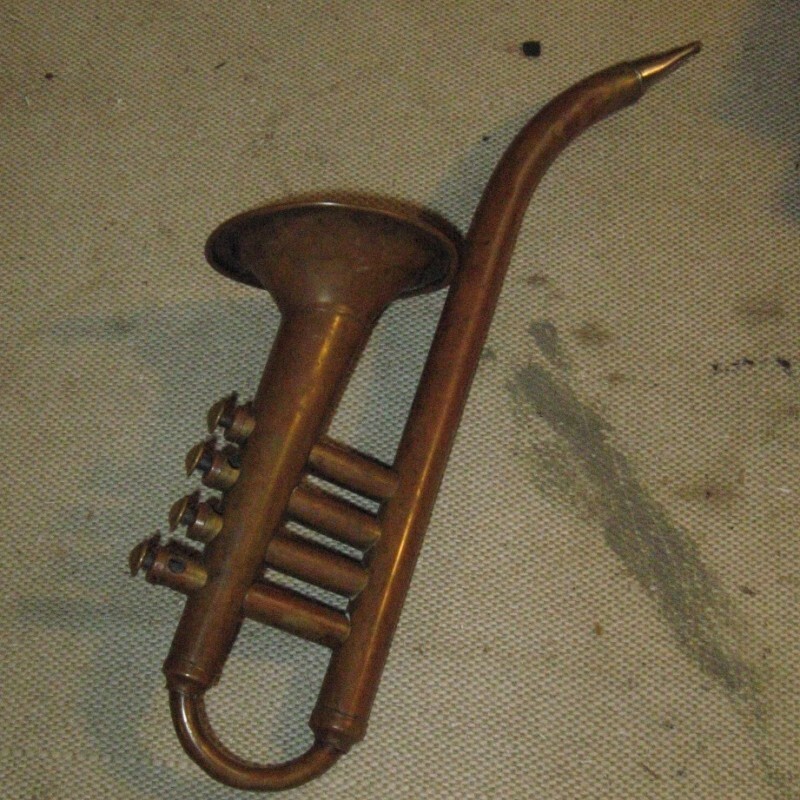 The instrument is 11″ long, and the bell is 3″ across.